If you are on the Town's water main, you may be able to connect. 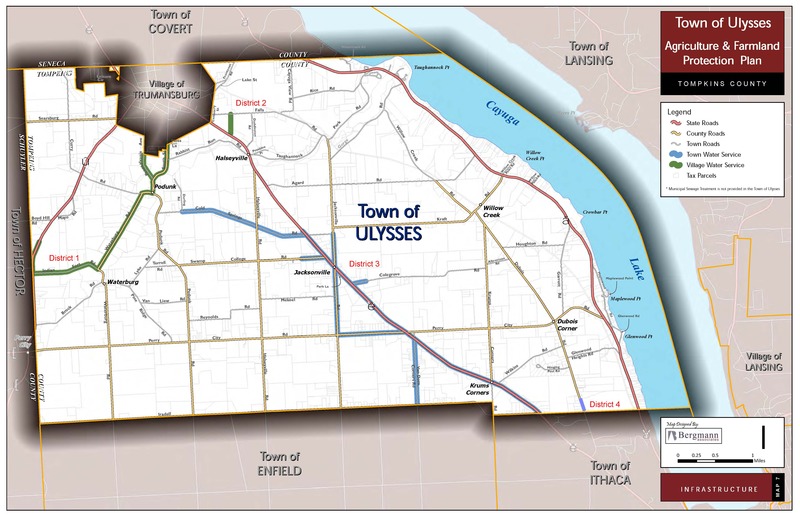 View a map of Ulysses water districts. Link here to view information and an application to hook up to town water. • Payment: Cash or check; the cost varies by type of permit, service location, and water meter size. Inspections are required to verify plumbing is in compliance with all applicable New York State and local building codes. Do not cover, bury or otherwise hide any plumbing prior to having it properly inspected and approved by the Town of Ulysses. At the time the plumbing permit is issued, the manner of inspections included in the permit is explained. Additional inspection trips can be provided at additional cost.